You’ll have to decide whether it’s your job to deal with darkness, or to shed light. Both options are available at all times, though habits and existing skills, plus the ever-present lure of conflict, tend to draw us into the cave of people’s endless shadow-games. You cannot afford to waste precious time as you have quite a bit to accomplish. 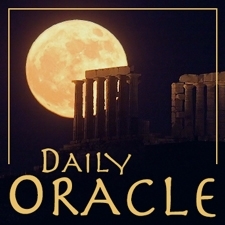 Today’s Oracle takes us to the Cancer monthly for September 1999. You’ll have to decide whether it’s your job to deal with darkness, or to shed light. Both options are available at all times, though habits and existing skills, plus the ever-present lure of conflict, tend to draw us into the cave of people’s endless shadow-games. You cannot afford to waste precious time as you have quite a bit to accomplish, but attempting to meddle in the negative affairs of others — especially if they beg you to — can easily make you sick. Should this temptation find you, my advice is to walk out the door and keep going. Some amazingly wide horizons are calling, there are people who recognize your true worth and value, and you need to be ever-mindful of just how sensitive you really are. Let everyone else be big & bad. What a Gem!! Beautiful and priceless Gem Eric! Thank you for what must be a gazillion oracles over the years that have brought me front and center. There’s a magic that runs through them all, conveying just what I have needed, countless times. Blessings on you and your work.